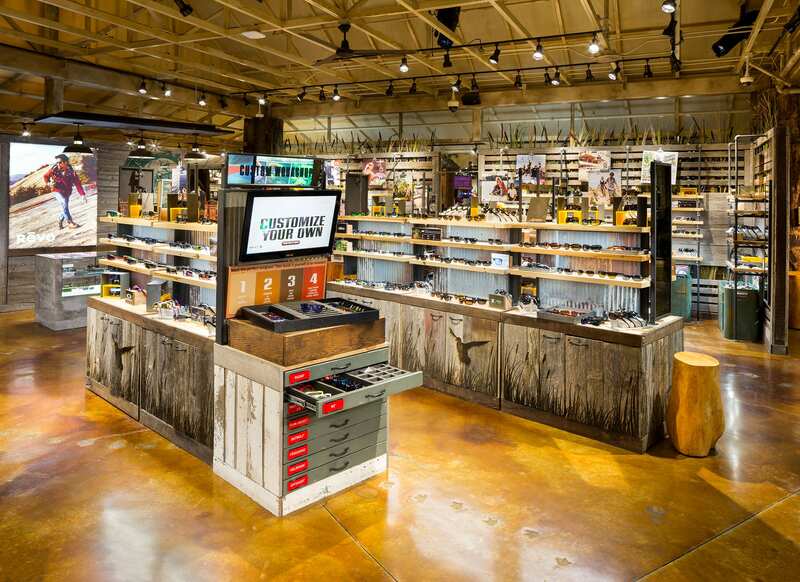 Our expertise in thematic retailing led Luxottica’s in-house design team to partner with us on a sunglass shop-in-shop for Bass Pro Shops in Memphis. 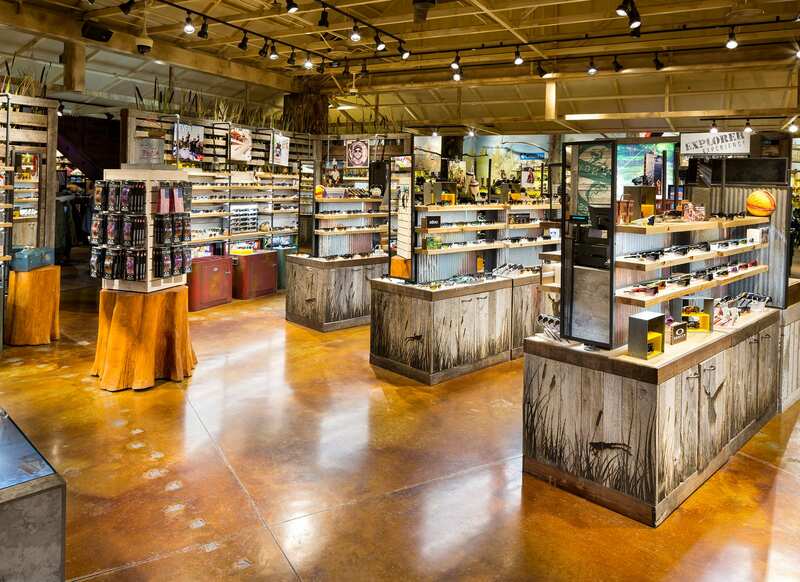 Working with their team, we developed and detailed a themed shopping experience inspired by the rustic local landscape. With a canvas tent top, hand-painted lettering, cattails incorporated into fixtures, and natural woods the shop transports guests to a fishing camp on the bayou. To further enhance the overall character of the store, considerable attention was given to the detailing of the graphics and modification of fixtures to fit the theming. 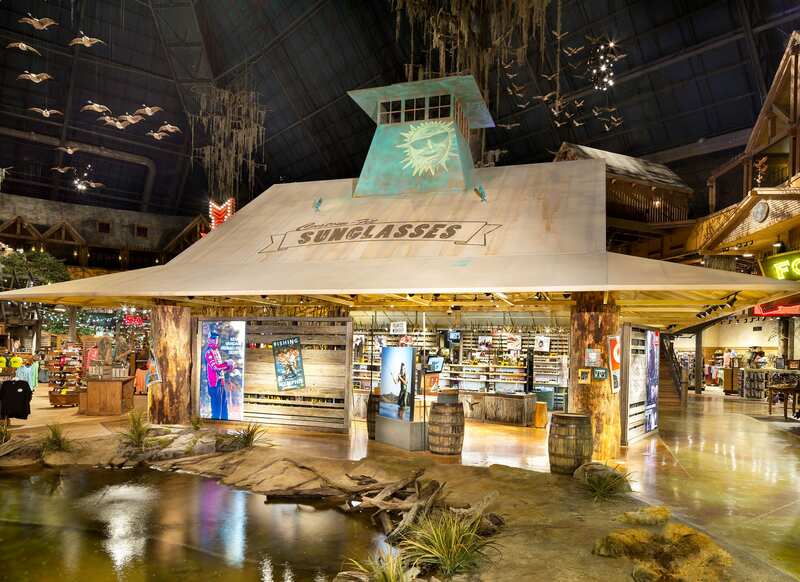 By developing a unique themed environment, the sunglass shop fit within the heavy thematic character of the Bass Pro Shops store and quadrupled sunglass sales.